‘Yesterday is history, tomorrow is a mystery, but today is a gift and that’s why we call it the Present’. I don’t know who wrote these clever words, I wish they were mine. This one fits my theme of a present or gift. Imagine if I gave you the gift of foresight, that you would know what was going to happen tomorrow, next week, next year. How wealthy you could be. Imagine if I said ten years back that every Nepali I know would own a smart phone. I think I might have been laughed at. ‘Yesterday is history’ is a good place to start. I first came to Nepal in 1983 to climb Manaslu, and a lot has changed since then. It is a fact that things change, not always for the better. Perhaps the major change I have seen in Nepal is that it is now a Republic. The King is gone, just like in the west where we have no ‘ruling Monarchs’. ‘Tomorrow is a mystery’ but you may see it need not be so. Not so in Nepal because whatever happens here has happened in the ‘West’ previously: the spread of the mobile phones, power taken from kings. Political regimes, some good and many bad have come and gone. Russia: the home of communism has abandoned it as a ‘bad job’, a system that never benefitted anyone in a voteless, powerless society. So where does this take us? 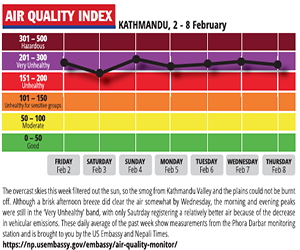 There will be a day when Kathmandu has clean air when I may be able to bring my son here. If you can think of a way to either: make it happen or benefit when it does, then you will be ahead of the game. Remember the long game, and start playing now. Imagine if you could walk through Thamel without motor bike exhaust being sprayed in your face or how every season I get hit by one while walking. You might think it is strange, but tourists don’t like this. Tourists often choose to visit pleasant, clean and safe places. If you are being poisoned by the very air, if you see the police wearing smog masks then you might not feel safe. Imagine if you could sit on a street in Thamel and drink coffee under a tree, next to pedestrianised cobble stone streets. The vehicles needed to bring supplies when no one is around, after 0100hrs. So here is another clue: what I would not do. 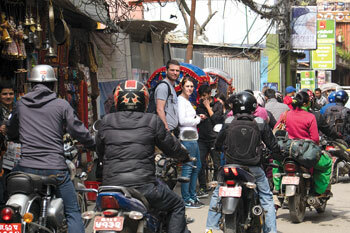 I would not build an underground car park in the centre of Thamel. I could be tempted to invest in a bicycle rack though. I wrote in a previous column about the terrible situation with Everest permits, and writing to the ministers concerned. I did not get an answer, did I expect one? I wrote to the Nepal Embassy in London, no reply. I also wrote to the British Embassy in Kathmandu because the interests of both Nepal and British tourists are involved. The British Embassy arranged a meeting with the authorities involved who made positive noises, but too late, I fear. An open thank you to the British Embassy for trying to help Nepal’s tourist industry and the people who use it. I will be arriving in Kathmandu again next month. 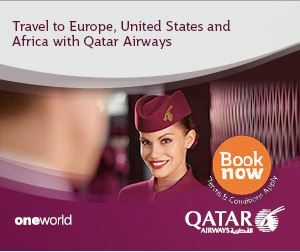 Let us see how The Gate is then – the international airport, the gateway to Nepal. This is the first impression anyone arriving will get. Will it still smell of urine, will I still have to queue for an hour for the privilege of a visa that actually gives me nothing? I will give though. I will bring work and I will spend money. More to follow in future columns in this space. I am not expecting to see an improvement. Someone is responsible for the airport, come on surprise me, surprise us all. It’s your job. It’s an interesting concept and may fit with my ‘future theme’. Usually managers and others who fail in their duties, who do not perform as expected for the salary they receive actually get fired. They are sent home, no more pay, no job, no perks; no chance. Ted Atkins is a former RAF Chief Engineering Officer and now a partner in four international companies. He writes this exclusive column, Outside In, for Nepali Times. Window to the Himalayas, NEW!